I found this lively postcard among a bunch of 25 cents postcards last weekend. It definitely stood out and I loved the intense blue background which is even stronger than shown here, but that was the closest I could get it from the scan. 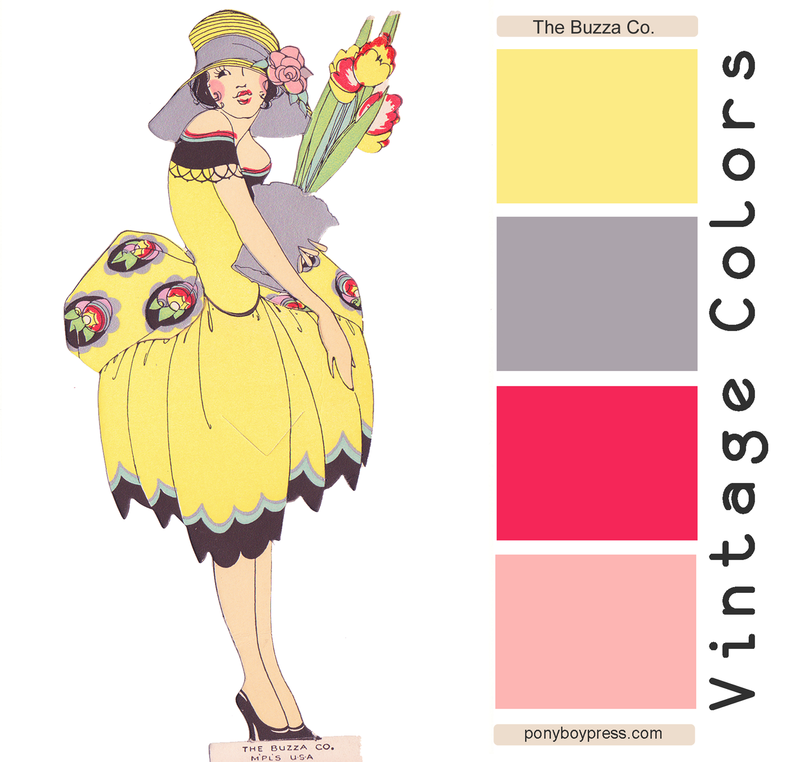 The weather has been sunny here and this color palette fits the mood. 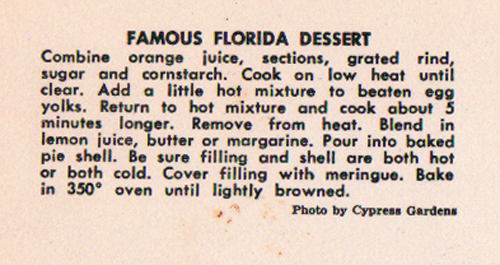 The rest of the recipe is printed on the back. I'll post it here. 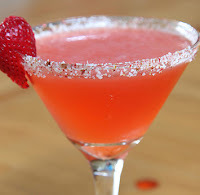 Let me know if you make this. it sounds pretty good. 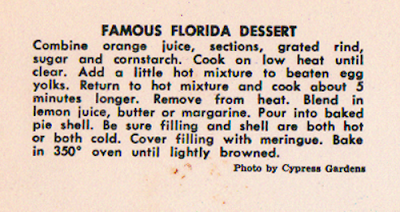 I like the idea of sending a regional recipe in a postcard. It makes it even more of a souvenir. The hex color codes here are from left to right: 0393c4, f75b0d, 408444, f7d45b. Tomorrow is National Poem in Your Pocket and once again it kind of snuck up on me and I didn't have the time to do a nice layout like I think I will do all year long. However I do have a poem to print and share tomorrow. It's called I Have News For You by Tony Hoagland and I kind of felt like he'd been in my head when I read it. Maybe you can relate to it, too. Here is the scan of what I will handing out to people I see tomorrow. You still have time to find a poem and print it out. 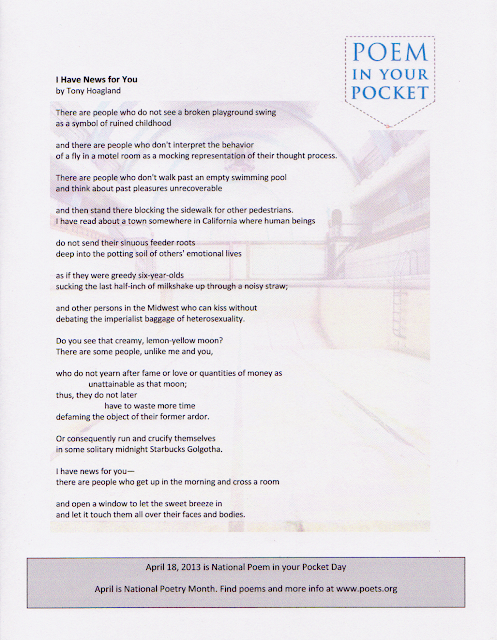 There are ones all ready to go on the official Poem in Your Pocket website or you can find your own. 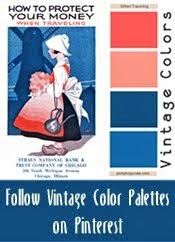 This color palette is brought to us by a greeting card. This card is the kind you can stand up and you can see the cut out in the middle of her dress there, but the pleats along her waistline are also cut out. I'm not sure what it was supposed to look like all propped up, but I don't want to ruin the piece to see. I guess the person who received this felt the same way. I don;t think the recipient displayed it that way. 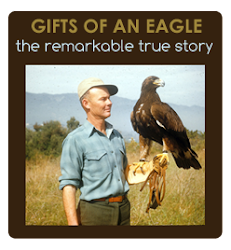 also that you get a lot of nice gifts. 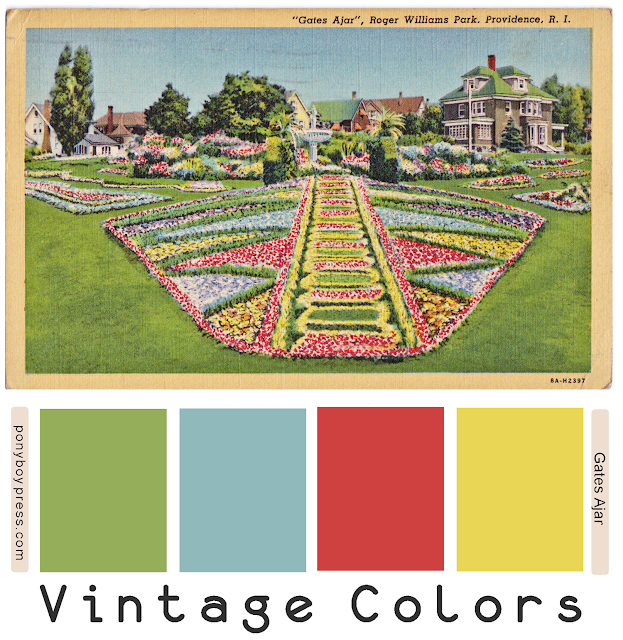 This beautiful spring time vintage color palette comes from a postcard that was sent in 1942 from Providence, RI to Columbia S.C. Tiny was still getting settled in for her vacation. This park still exists, but it looks like this particular section is no more. 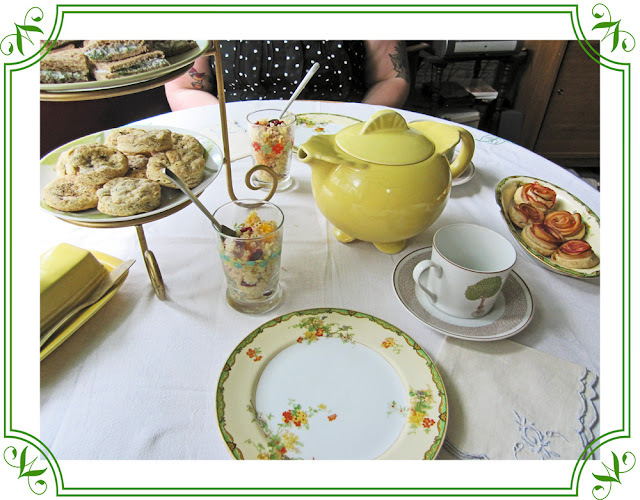 I had a wonderful time a couple of weeks ago setting up a fancy tea for my friend Sarah of the blog New Wave Domesticity. I've been doing some website work for the delightful Blue Heron Herbary on Sauvie Island and they had set me up with some delicious herb blends and vinegars that I wanted to try out in some recipes. 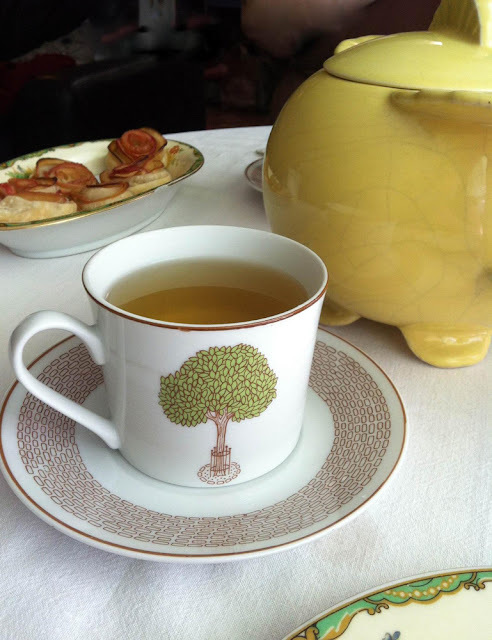 So, an herbal theme tea party seemed like the perfect fit for our tea-for-two meeting. 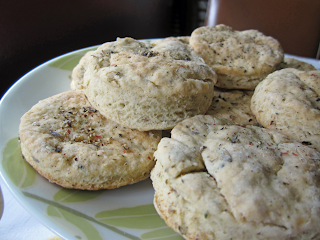 The first thing I was inspired to make were the Lavender Pepper Scones or Biscuits. 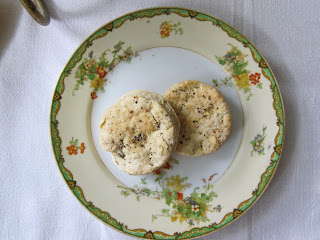 From the first time I smelled the herb blend that they make at Blue Heron Herb Nursery from their scores of lavender fields (they farm and sell over 100 varieties of lavender) I knew I wanted to make scones with it. I love a savory scone - with butter of course. 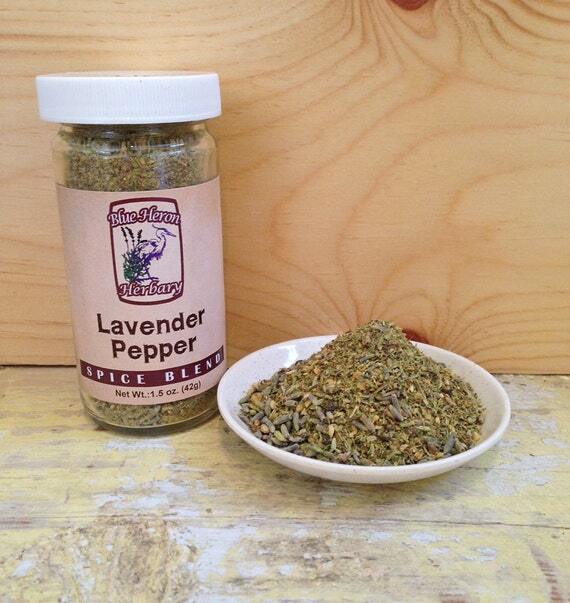 The Lavender Pepper Herb Blend is the most popular of Blue Heron's blends. I am not a huge lavender flavored girl, but I was encouraged to at least give it a smell. After that I was hooked. It isn't super lavendery, but just enough that it give it this really interesting savory taste. I used a mixture of the Lavender Pepper Blend (which also includes some other ingredients) and the pure Lavender and Rainbow Peppercorns option that I put in my own spice grinder. The result was delicious! I chose to make them biscuit shaped, but they were more scone like. I could have made them a little thicker and more biscuity, but they were great as is. Kind of dry and flaky and so ready to have some butter on them. Just how I like my savory scones. I just loved all the pepper in them and the lavender made the taste so unique and full. blend and lavender peppercorns. Working quickly, add cold butter, blending with fingertips until evenly distributed. 2.In a large bowl, mix yogurt, milk and baking soda. Pour over dry ingredients and mix until just combined. Turn out onto a floured surface and knead until dough just holds together. Do not overwork. Pat or roll into a 1/2- to 3/4-in. (1 to 2 cm) thick disk. 3.Using a 3-in. (8 cm) round cutter (or a floured jar lid or glass), cut dough into 9 or 10 rounds (gathering scraps to re-roll and cut to use up dough). Bake on a parchment paper-lined baking sheet for about 15 min. or until lightly browned. I adapted this recipe to use for the scones. It called for 3/4 cup buttermilk, but I didn't have any so I used the yogurt and milk combo. I found the sub online somewhere and it worked great. Also, the amount of Lavender Rainbow Peppercorns I used is a guesstimate since I just kind of kept grinding it in till it looked good. Add as much as you want. 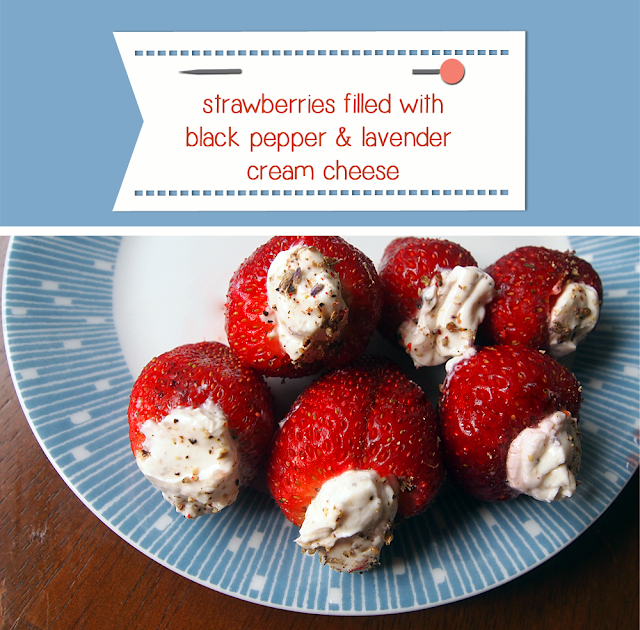 I also sprinkled them with some more Lavender Peppercorns on the top, but I can't remember if I did it before or after. 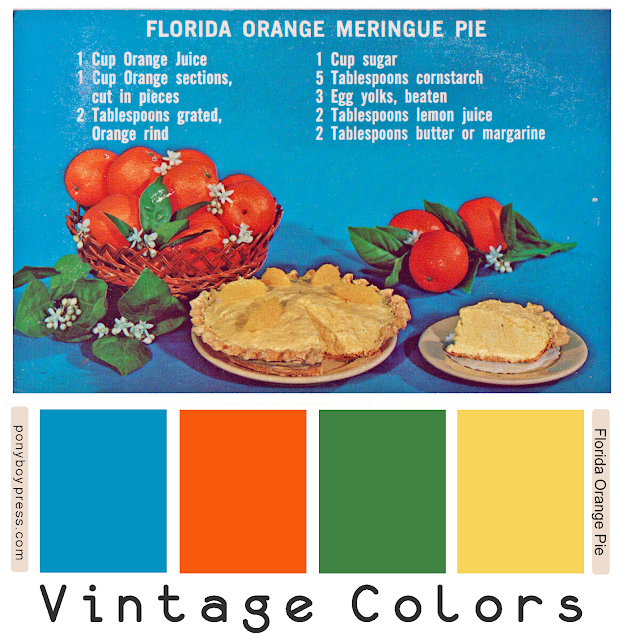 These are so good, I am still craving them and they are long gone. 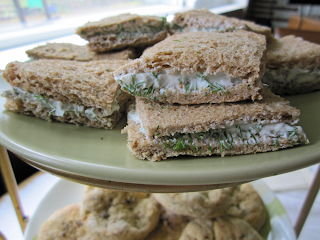 Also on the menu that day were some delicious tea sandwiches inspired by the Herb Infused Vinegars from Blue Heron's Three Bird Vinegar and Dressings. I made these Dill and Goat Cheese Sandwiches by using a soft spreadable goat cheese and cutting up a bunch of fresh dill. Mmm. So good. I used about a tablespoon or two of the Lemon Delight Vinegar, which is a combo of lemon basil, lemon thyme, lemon verbena and lemon peel in a white wine vinegar. This is my favorite vinegar so far. I tasted the sandwiches before and after the vinegar was added and it made such a difference and yet it wasn't obvious what it was. It really brightened the filling. They were super good. I love this vinegar for asparagus and all vegetable steaming, too. I also used the very interesting Nasturtium Vinegar from Three Bird. Nasturtium flowers have a peppery summery taste. 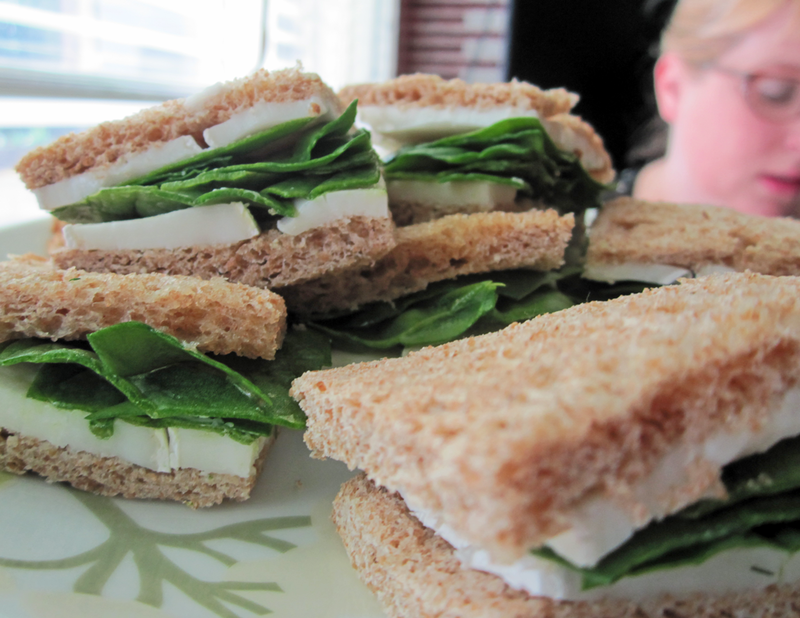 I tossed some spinach in them and then added them to some Goat Cheese Brie. It made a nice sandwich that had a good amount of veggies in it, unlike the other offerings. The Nasturtium Vinegar added a unique and layered taste to the simple sandwich. The tea was rounded out by a favorite easy dish of mine that I found on Pinterest - Mandarin Quinoa Salad Parfaits. I added some of Three Bird Vinegar's Bouquet of Roses Vinegar to this sweet and nutty tasting salad. It added an extra depth to it and mixed well with the fruity flavor. Sarah brought with her these darling Apple Pie Cinnamon Bites that looked very impressive and were delicious. It was so fun to do a tea party like this again. Thanks to Blue Heron Herbary for the inspiration. I am a new devotee to Herb Vinegars and Lavender Pepper. 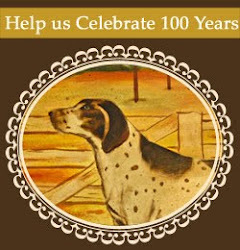 Oh, and Blue Heron Herbary is having a 20% off deal through May 1st on all products on their Etsy shop. Check it out and get some herbal inspiration, too.